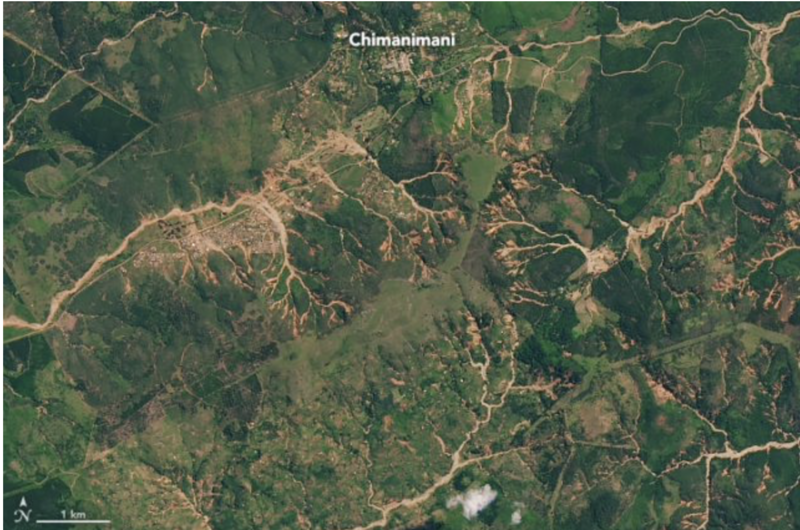 NASA Landsat 8 OLI image showing landslides to the southwest of Chimanimani in Zimbabwe, triggered by Cyclone Idai. 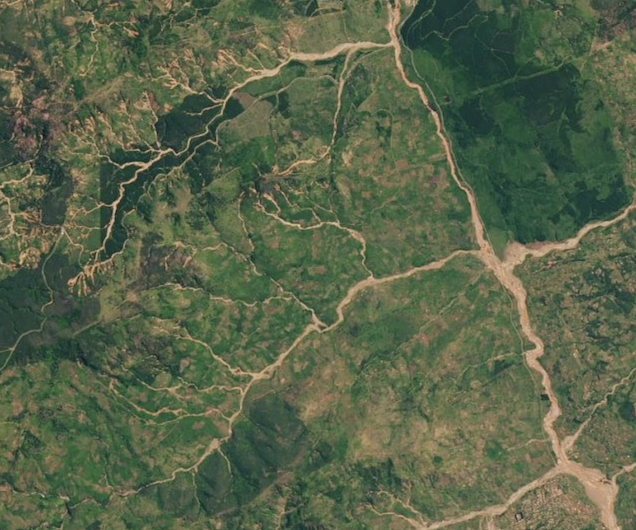 Note also the extensive evidence of sediment-rich floods in the main channel, which illustrates the way in which landslides high in the catchment can cause extensive damage long distances downstream. This is a slightly intriguing feature that will benefit from more detailed investigation. “Rocks came from the mountain and crushed our hut; my in-laws’ house was the first to be destroyed. When our hut fell, my husband had gone to help my in-laws,” said Dhliwayo, as Zimbabwe military helicopters with aid and relief arrived at the worst affected areas of Chimanimani days after the tragedy. 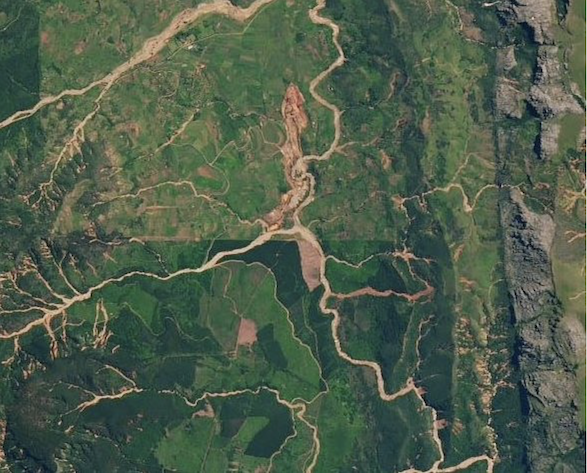 NASA Landsat 8 OLI image showing the largest of the Chimanimani landslides, triggered by Cyclone Idai. “I had three children that were sleeping in the house and I managed to rescue only my six-month-old child on my own before my husband arrived back. “When he got back, I was crying and trying to move some of the rocks covering our hut to rescue our four-year-old kid, who survived. But the other child did not come out alive; he died in the hut, trapped under large stones,” she said. Petley is the Pro-Vice-Chancellor (Research and Innovation) at the University of Sheffield in the United Kingdom. His blog provides a commentary on landslide events occurring worldwide, including the landslides themselves, latest research, and conferences and meetings.